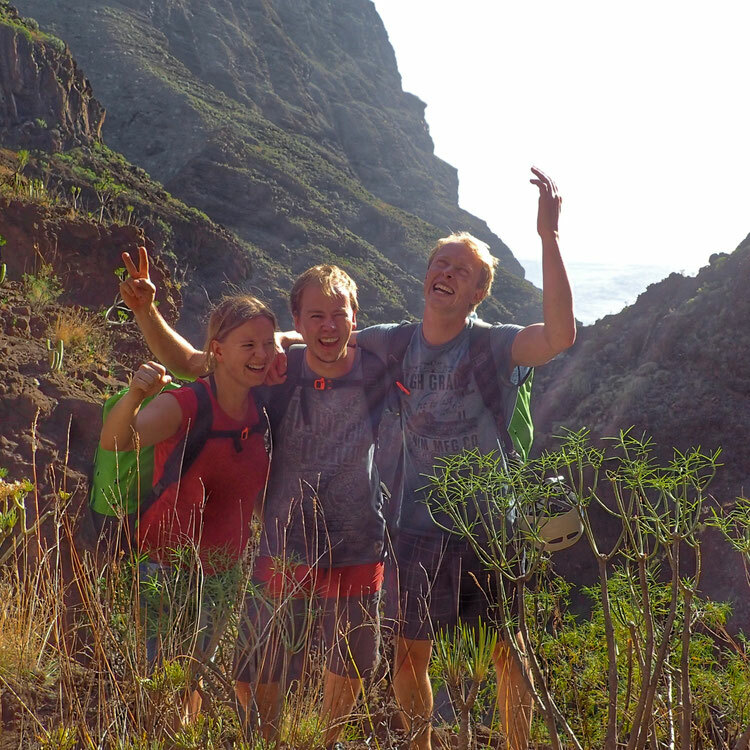 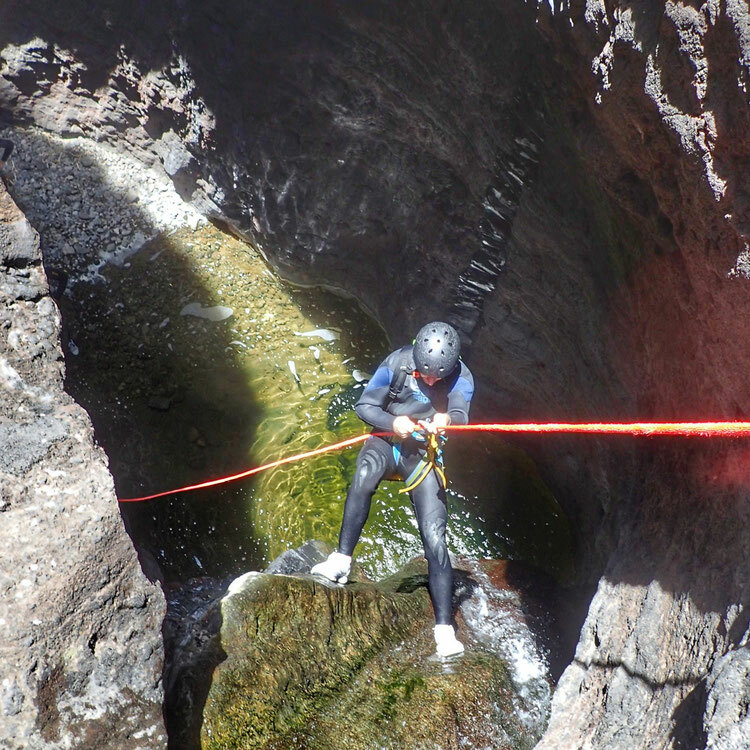 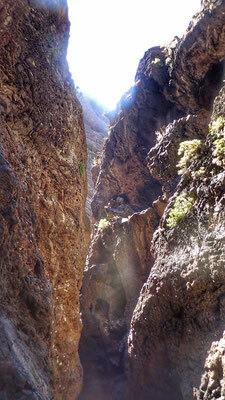 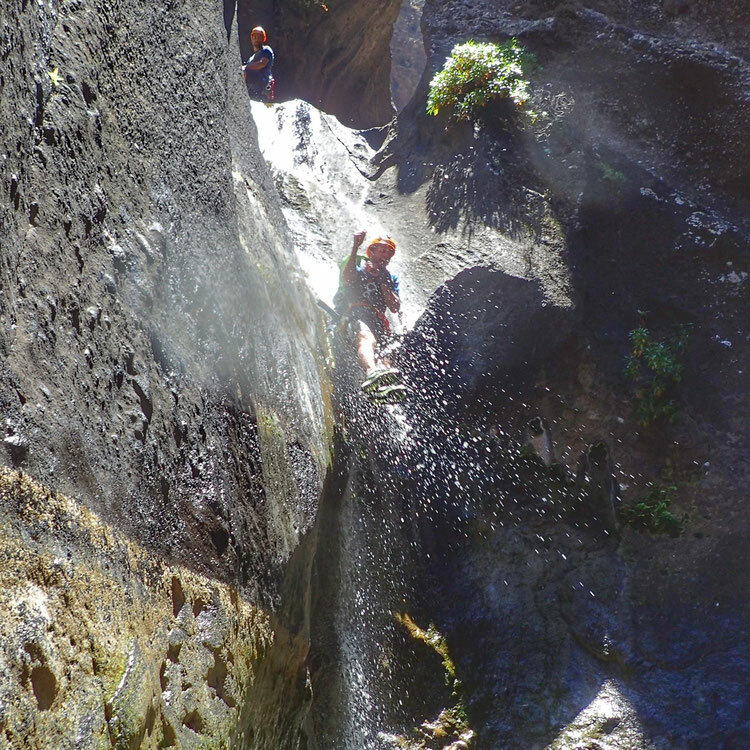 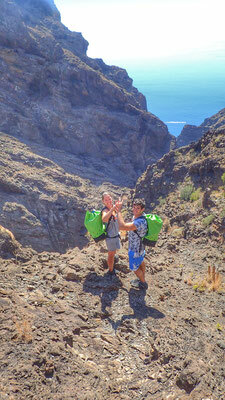 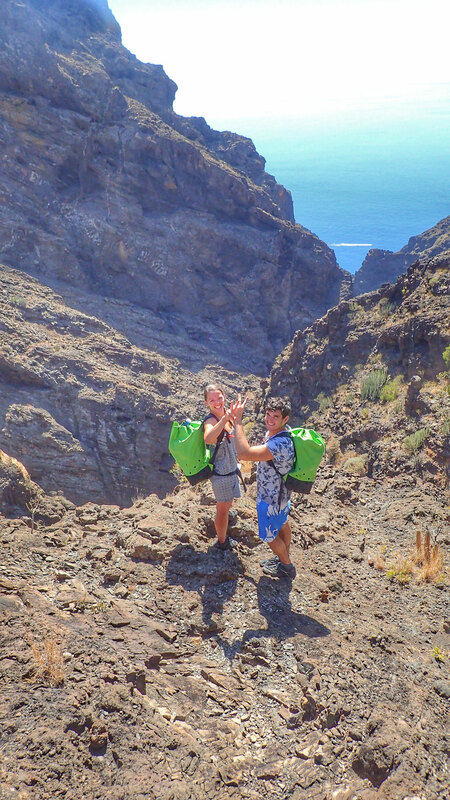 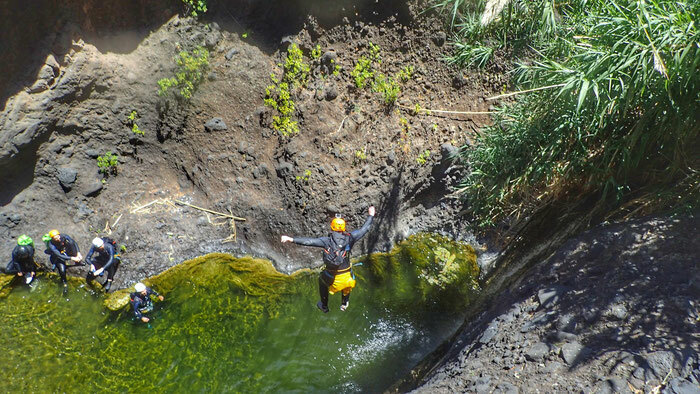 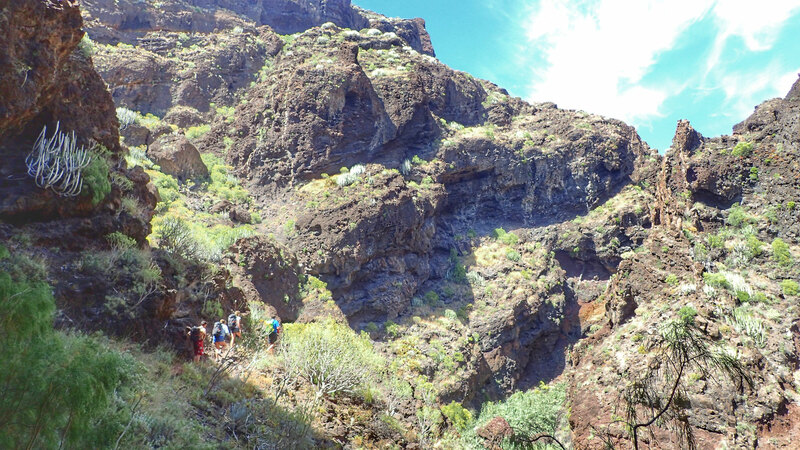 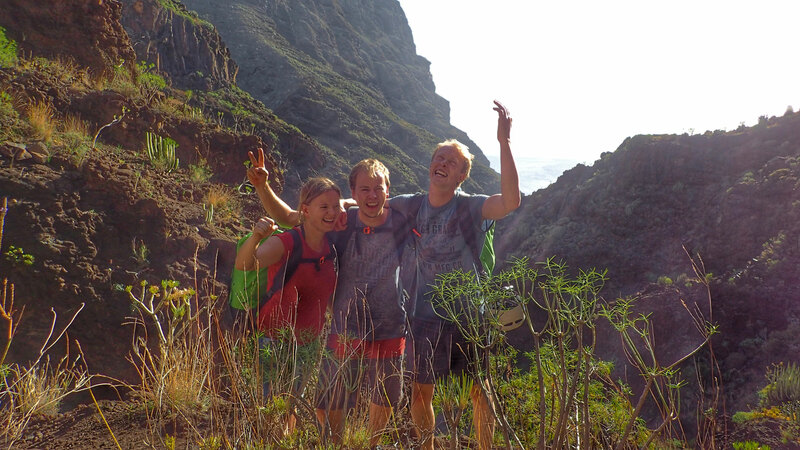 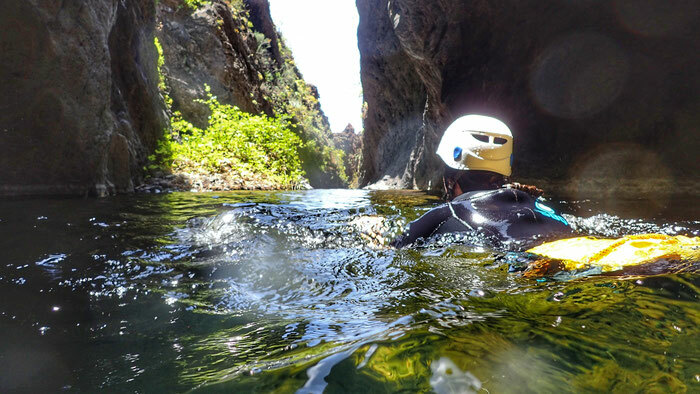 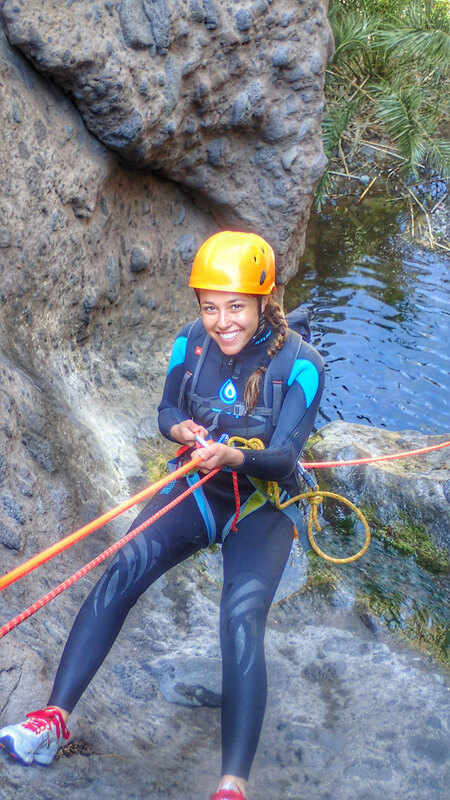 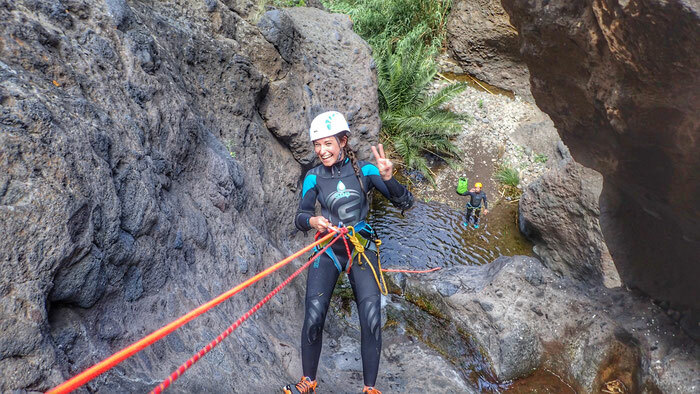 One of the best canyons in Tenerife and definitely the most fun . 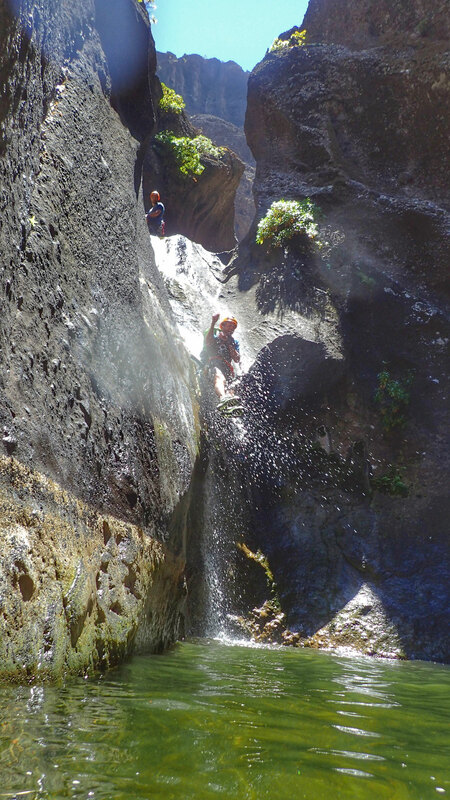 With waterfalls abseils and slides its a water park completely off the the beaten track in the heart of the Teno nature reserve. 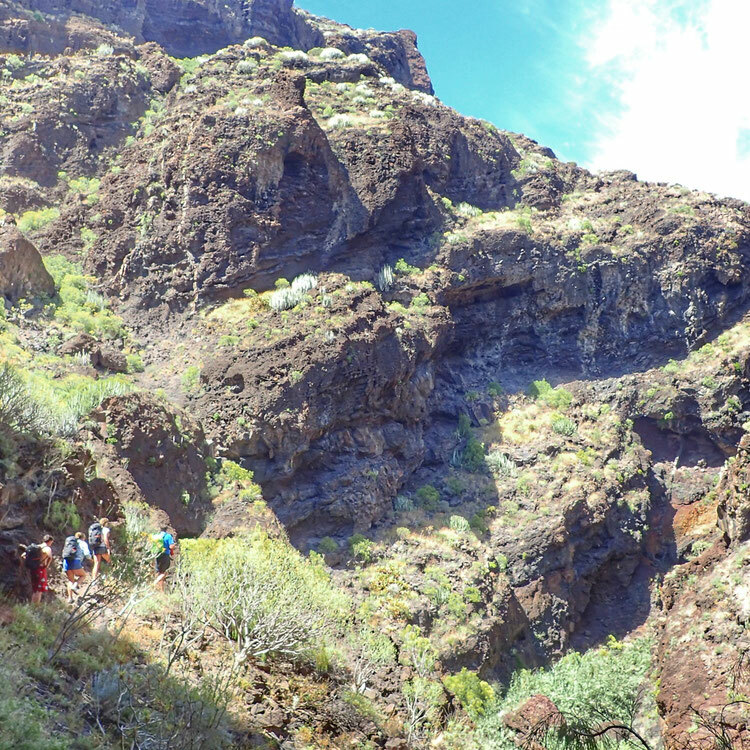 This canyon is guaranteed to take your breath away with spectacular landscapes and picturesque little villages in the heart of the Teno nature reserve. It has 10 abseils various water-slides and optional jumps with the highest being around 8 meters. 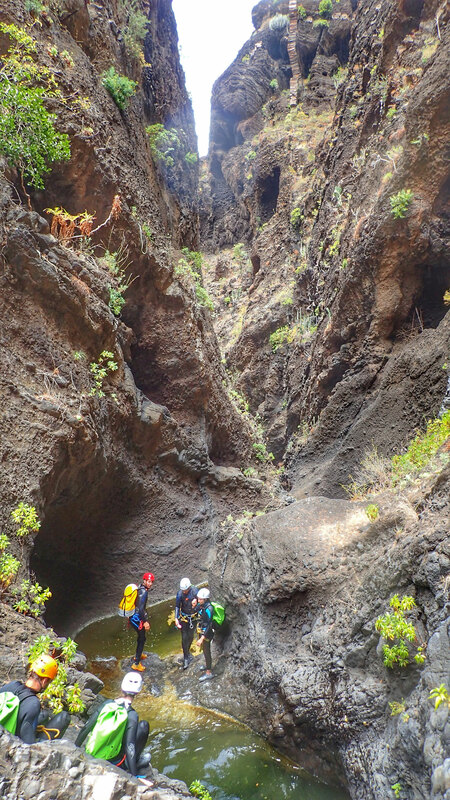 As this canyon is in a nature reserve and has a fragile ecosystem so we limit the groups to a maximum of 8 people to help protect this amazing place and the local authorities limit the total amount of visits to this area to 15 people a day. 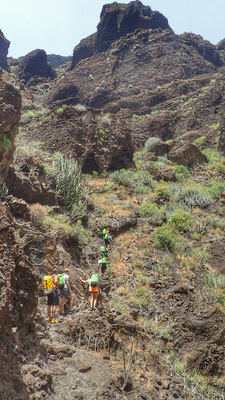 This is a beginners canyon but a reasonable level of fitness is required. 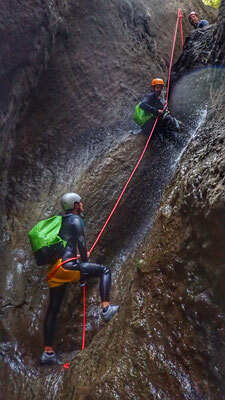 Sure-footness and the ability to negotiate rough and wet terrain is beneficial. 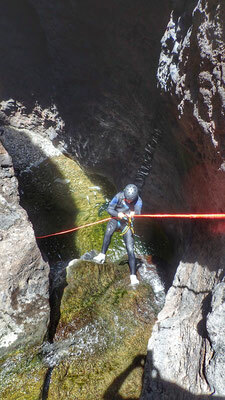 This is full day activity usually lasting between 6 and 8 hours from start to finish. 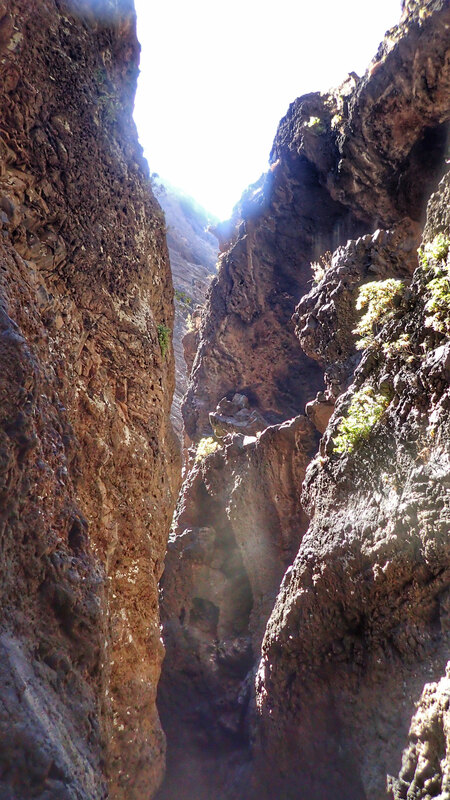 People with vertigo find the hike back up to be a challenge. 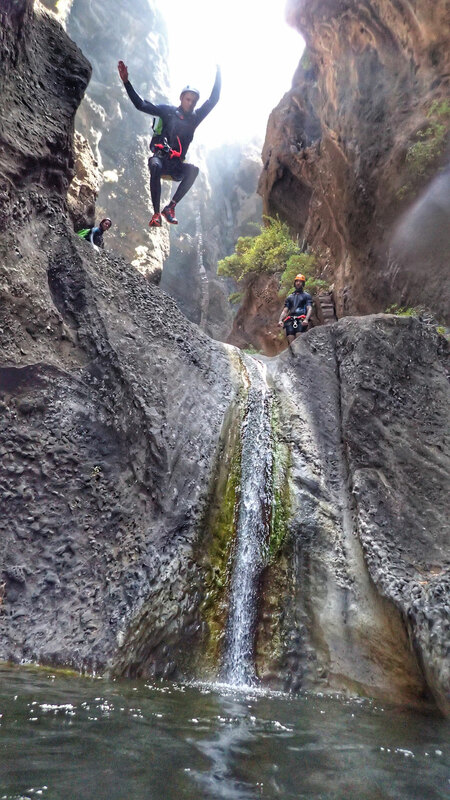 All jumps above 1.5 meters are optional and can be avoided. Wet-suits, harness and all safety equipment.